We’ve already seen Google’s Project Ara, a first attempt to build a modular smartphone and we must admit that we were delighted with the idea of replacing or upgrading certain parts of a phone. Still, they should be preparing for some competition, as another project called “PuzzlePhone” is also ready to try its luck. According to Gizmodo, it’s build by a Finnish startup called Circular Devices and its built around three main modules, called spine, heart and brain. To be more specific, the first one consists of physical buttons, LCD panel, speakers and microphone, while the brain represents the chipset and the camera, and the heart is of course, the battery. PhonePuzzle is using the same principle as Project Ara, allowing users to actually build a phone suited for their needs. A power user will definitely want a top CPU, so the brain can be customized, while the rest of the modules will be left…well, stock. If you know that you’re speaking, texting and browsing the web all day long, a bigger battery can be added and so on. Basically, it’s just like building a custom PC, but let’s see which parts manufacturers will be interested in this project and offer their hardware. 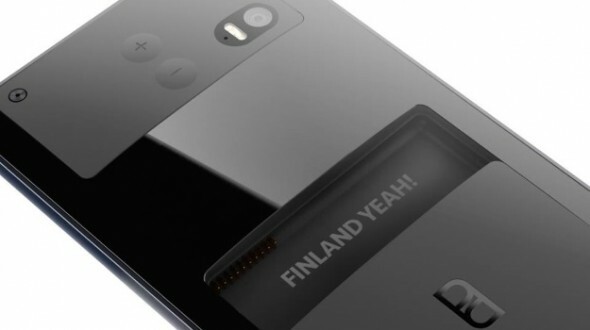 What do you think about PuzzlePhone? Would you buy a modular phone?